Q. Is FZ25 good for height people like 6 feet? Q. Should I buy it? Q. Is it good for long ride? Q. What will be the servicing cost for second service ? Our long-term FZ25 came back after a major repair just in time for the monsoons. Were the rain Gods kind enough? On paper, the FZ25 seems underwhelming. 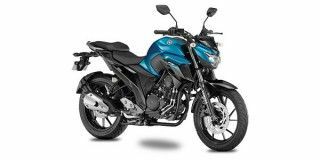 Has Yamaha lost the plot or is the FZ25 a masterstroke?